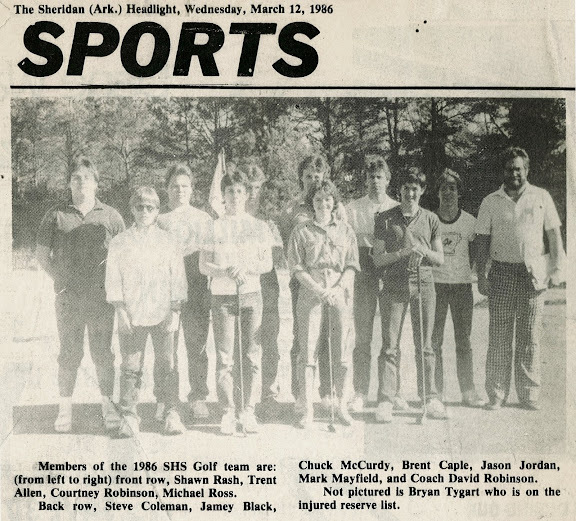 Members of the 1986 SHS Golf team are: (from left to right) front row, Shawn Rash, Trent Allen, Courtney Robinson, Michael Ross. Back row, Steve Coleman, Jamey Black, Chuck McCurdy, Brent Caple, Jason Jordan, Mark Mayfield, and Coach David Robinson. Not pictured is Bryan Tygart who is on the injured reserve list. The 1986 Golf team has experience in its favor this year, according to Coach David Robinson. After finishing second in the district and 10th in the state last year, Coach Robinson says the returning players make for "the most experienced team we've had in a while." "And," he continued, "we'd really be tough if we hadn't lost a key player to injury." Top players returning include seniors Brent Caple, Jason Jordan and Chuck McCurdy, the coach says. Bryan Tygart, last year's number two player, is out with an injury. Robinson says he expects other team members to step in and "pick up the slack" in the place of Tygart. 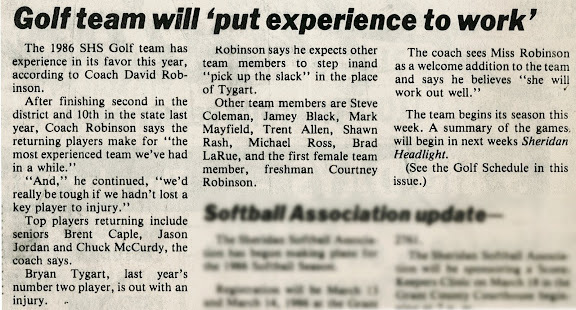 Other team members are Steve Coleman, Jamey Black, Mark Mayfield, Trent Allen, Shawn Rash, Michael Ross, Brad LaRue, and the first femal team member, freshman Courtney Robinson. 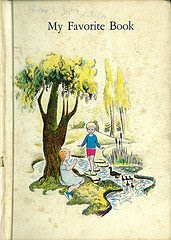 The coach sees Miss Robinson as a welcome addition to the team and says he believes "she will work out well." The team begins its season this week. A summary of the games will be in next weeks Sheridan Headlight.